Chelsea have been told that Willian will cost them £28m after Shakhtar Donestsk confirmed the Blues' interest and revealed that the player is keen on a move. Reports had suggested Chelsea had made a £20m offer for Willian and wanted to complete a deal for the Brazil international before the end of the month. Manager Andre Villas-Boas later that day ruled out a bid for the 23-year-old, insisting he will not sign players who are cup-tied for the Champions League. But the club today told the confirmed that Villas-Boas is interest in their prize asset. Shakhtar CEO Sergei Palkin said: "Willian expressed his desire to test himself in the Premier League. Willian's contract involves a minimum release clause of £32m. But we are ready to let him go for £28m. 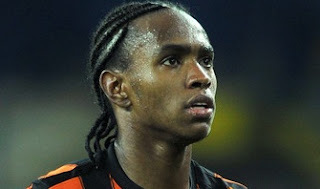 It is important to understand that we are talking about Chelsea's desire to buy Willian, but not Shakhtar's desire to sell him."